Located in a truly picturesque destination, just a stone’s throw from Hyde Park, a new outdoor art installation has been unveiled at Connaught place, coinciding with the opening of two new international art galleries in the village; Dellasposa and Dorothy Circus. 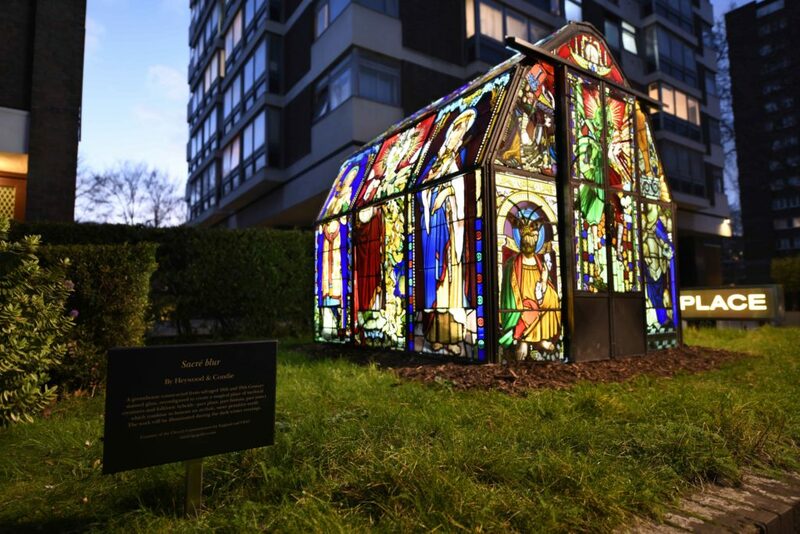 Constructed from salvaged 18th and 19th stained glass, The Greenhouse by Heywood and Condie, was first seen as part of the Barbican exhibition, and is available to view at its new home until the end of February. The original Christian imagery which has been dismantled and reclaimed to present a world of chimeras, mythical creatures and folkloric hybrids. Visit the installation when the sun goes down and the world of stained-glass chimeras is reflected endlessly in its infinity floor.